Bad weather couldn’t stop a large number of Iowa conservatives from gathering Saturday afternoon. And what they discussed could have a wide-reaching impact on Iowa politics. 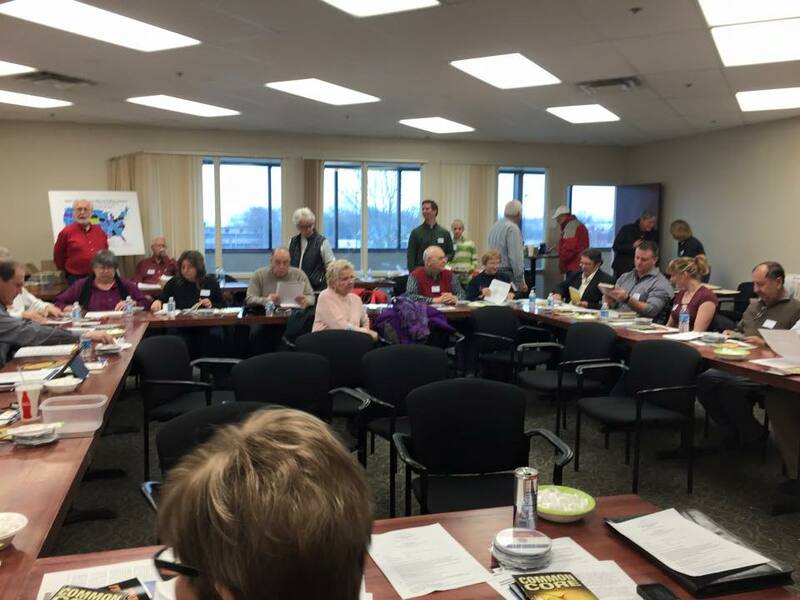 Representatives from a wide array of tea party, property rights, government accountability, convention of states, state nullification, education reform, and Christian ministry groups gathered for the Iowa Grassroots Coalition statewide activist meeting. The event was held in a packed, standing-room-only meeting room at the Dahl’s in Johnston. Pastor Terry Amann of Walnut Creek Church in Des Moines opened the meeting by reminding the participants that the churches in America have been the greatest agent for change. He encouraged those in attendance to make sure they were attending a Bible-believing church. The topics covered in the meeting ranged from how the coalition network operates to the vetting process for the 2016 presidential nomination campaign, and included discussions about specific legislation proposed or currently under consideration at the Iowa Statehouse. Afterward, participants went into break-out sessions to discuss individual topics in more detail. Tammy Kobza of The Eagle Forum and the Sheldon Tea Party Patriots discussed specific legislation the coalition was currently watching closely. The first was the proposed increase in the Iowa gas tax, which the group strongly opposes. She encouraged those who wanted to learn more about the effort to stop the tax hike to visit www.NoGasTaxIowa.com. Kobza also discussed a bill that will be offered this week by Rep. Ralph Watts (R-Adel), titled the American Law for American Courts Act. The bill would outlaw the use, as a reference, of foreign laws to influence Iowa court decisions. Dr. Sam Clovis, who ran last year both as a candidate for the Republican senatorial nomination, and as the GOP candidate for Treasurer of State, discussed the vetting process to find a “true conservative champion” during the 2016 presidential nomination campaign. He unveiled a list of questions that should be asked of each candidate to help voters make a better-informed decision. Following that discussion, Clovis spoke briefly, but with passion, about the 2018 gubernatorial nomination process, as well. He pledged to be “right in the middle of it,” sounding an awful lot like a potential candidate himself. Conservative activist Ken Crow of Winterset followed with a brief pitch for his Conservative Leadership Conference, which he plans to host in late July in Des Moines. The goal, he said, is to bring representatives from all of the top grassroots groups together with all of the Republican presidential candidates with a goal of finding the “one true candidate” that the groups can agree to coalesce to support. Beck, who is with Iowa RestorEd, talked about the group’s effort to restore Iowa’s first-in-the-nation status in education. She also discussed the serious problems Iowa will face if it adopts the Smarter Balanced testing system. Beck and Crystal also spoke briefly about Next Generation Science Standards. They noted there will be four public forums later this month in Waukee, Ottumwa, Dubuque, and Sioux City to discuss the proposal. They encouraged those who are opposed to the changes to take the survey at IowaRestorEd.com. To learn more about the Iowa Grassroots Coalition, or to register to join, visit www.iagrc.com. The website includes a calendar of events for conservative grassroots groups, as well as updates on current and pending legislation.